Ma'a Nonu has admitted that donning the All Blacks jersey is still in the back of his mind, but says he first needs to perform for the Blues. The 36‑year‑old midfielder returned to New Zealand last year from France having played for Toulon since 2016. 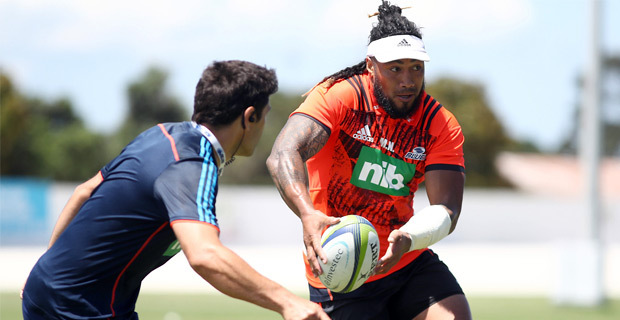 Nonu says for him it is about making the Blues team first. However he has not ruled out a possibility of putting his hand up for Rugby World Cup selection for New Zealand. The Blues will play the defending champions of Super Rugby the Crusaders at 6.35pm Saturday. Meanwhile, the Chiefs will play Highlanders at 6.35pm Friday, the Brumbies will play the Rebels at 8.45pm Friday while the Waratahs will host the Hurricanes at 8.45pm this Saturday.